Why Travel With a Travel Backpack? Around me, heads swiveled. People stopped chatting with neighbors, storekeepers, and taxi drivers. It was like I wore a flashing strobe light, attracting all attention in a five-block radius. My roller suitcase thumped down a curb, rattled over cracks in the sidewalk. Welcome to the Tenderloin, a 50-square block district in San Francisco where crime, drugs, and red light activities thrive. I had just stepped off the BART train from the airport. And I’ve never felt so conspicuous or out of place in my life. That’s when I wished most fervently for a travel backpack. Before we continue, let’s define what a travel backpack is. Just so there’s no confusion. Travel backpack: a bag that you strap to your back to carry all your belongings and items needed for a trip. Typically, this backpack is thoughtfully designed to withstand the rigours of the road, with pockets and compartments to help you stay organized in your travels. True, you could use a school-style backpack or hiking-style backpack as a travel backpack. 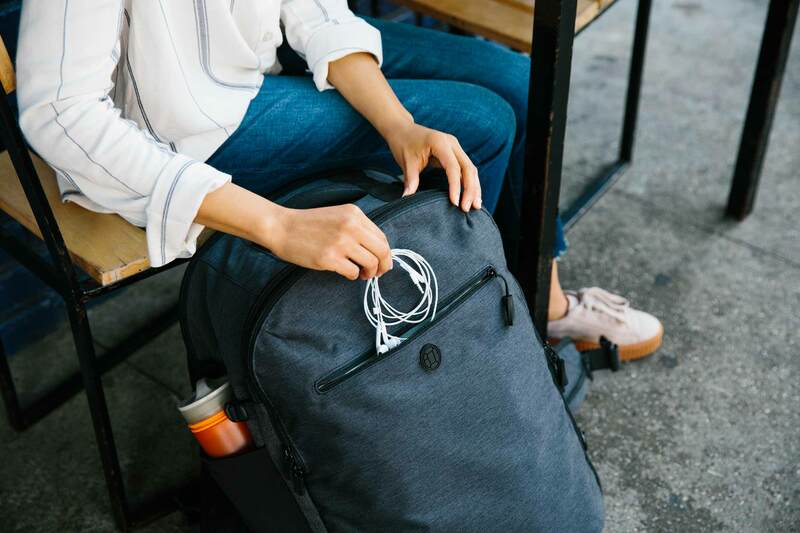 Those are two viable options that can be classified as travel backpacks, although they come with more headaches — like keeping your stuff organized. Compare travel backpack reviews and features when looking for the best travel backpack, and choose carefully. With a travel backpack, you won’t rock, rattle, and roll down the sidewalk. Instead, you’ll step off curbs, navigate sidewalk cracks, and soft-paw across metal grates — without the massive noise pollution. Rolling suitases are so noisy and terrible that the city of Venice, Italy, threatened to ban them a few years ago? Remember that? Yeah, don’t be that person. Which leads nicely into the number two reason why you should travel with a travel backpack. 99% of the time if someone is walking with a suitcase, they’re not a local. A travel backpack doesn’t label you as a potential rip-off. So you can more easily get locals-only pricing on cabs and restaurants. Plus, if you bring a black travel backpack, you’ll look more inconspicuous. Even better for phenomenal people-watching and blending into the local culture without standing out and making yourself a mark for criminals. Speaking of more freedom, a travel backpack lets you move faster. Suddenly, you’re taking the stairs instead of waiting in line for the elevator or standing on the escalator. You’re sprinting around slow-moving groups, stretching out your time here on earth — and in the airport — so you can relax at your gate, sipping a steaming cup of coffee, and sneak in more reading time with your book. Not to mention those times when you squeeze through a crowded Venetian boat dock to catch the last ferry out to the airport. Or, run across French tarmac for your plane and a good seat next to your traveling companion. Or, step out of a yellow New York City taxi and right into the steaming hot-dog-scented streets to wander. It’s true, wheels put civilization on the fast-track. 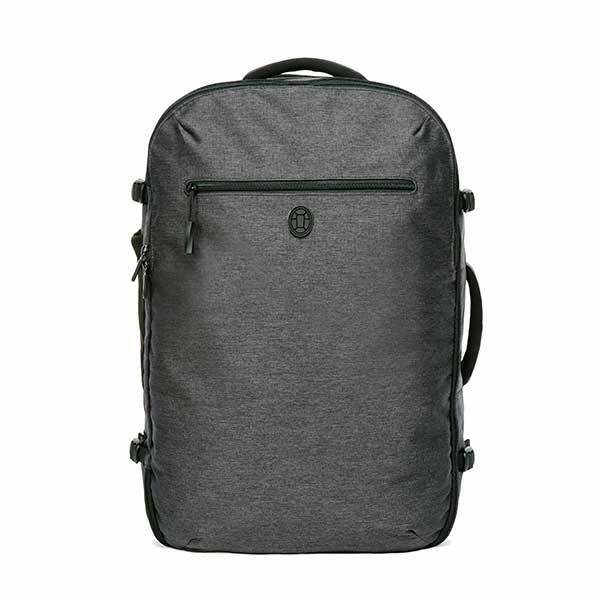 But when you’re traveling in the real world, a travel backpack will take you much further. No more curb hopping, bag jostling over bridge steps, or awkward whole body twist required to pull a darn suitcase. Okay, okay; normally, the argument that “everyone else is doing it” doesn’t pass muster with me. If you wanted to learn how to cook, you’d take lessons from a great chef. If you want to learn how to travel well (i.e. minimum of stress and hassle with max of adventure and memories), ask the digital nomads. These people are travel experts. They clock thousands of miles in travel, constantly testing their bags and travel skills in the real world. Sounds like exactly what I want as a normal traveler. If you read them, you’ll find forums hotly debating the pros and cons of different travel backpacks. From functionality and toughness, to style, number of pockets, and how easily the backpack can be locked. The attention to detail was incredible. Not to mention the miles they put on their bags and what they need those bags to accomplish. If that isn’t enough road-testing for you, well, I don’t know what is. And I salute your steadfastness to doing it your own way. But next time you clatter down a sidewalk and heads swivel and you feel as exposed as if you were striding naked down your high school hallways, reconsider your decision to not use a travel backpack. Just sayin’. Not all travel backpacks are created equal. In fact, most people are carrying the wrong bag for their type of travel. If you’re not hiking miles through the back country, a hiking pack is the wrong bag for the job. Deuter is awesome, but not for city travel. Look for a bag that is well designed for your type of travel, has an ergonomically designed harness system, is carry on sized, and will stand up to the rigors of travel. Also, consider the packing and unpacking experience. Do you want to be digging through a cavernous bag with all of the design consciousness of a trash bag? 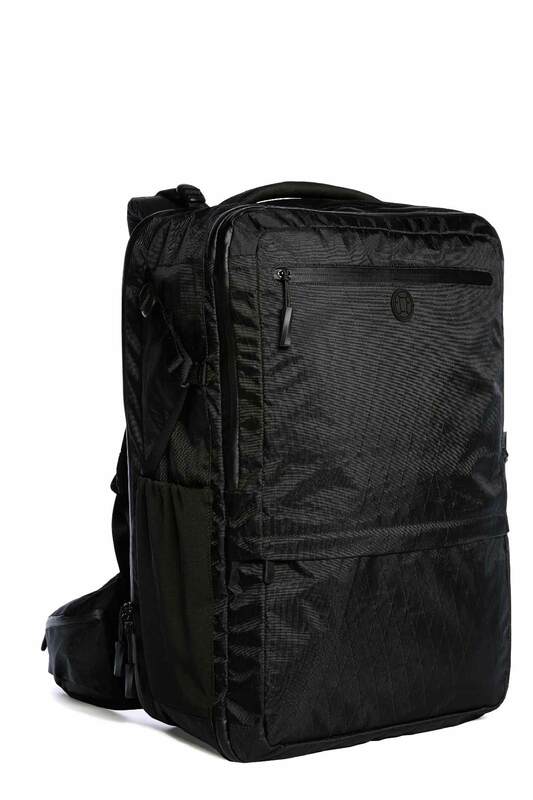 Or do you want to be able to open your backpack like a suitcase and easily access everything you need in well organized compartments and packing cubes? Moving around with a travel backpack might be easier, regardless of which one you choose, but the actual travel experience is highly dependent on features and bag design. 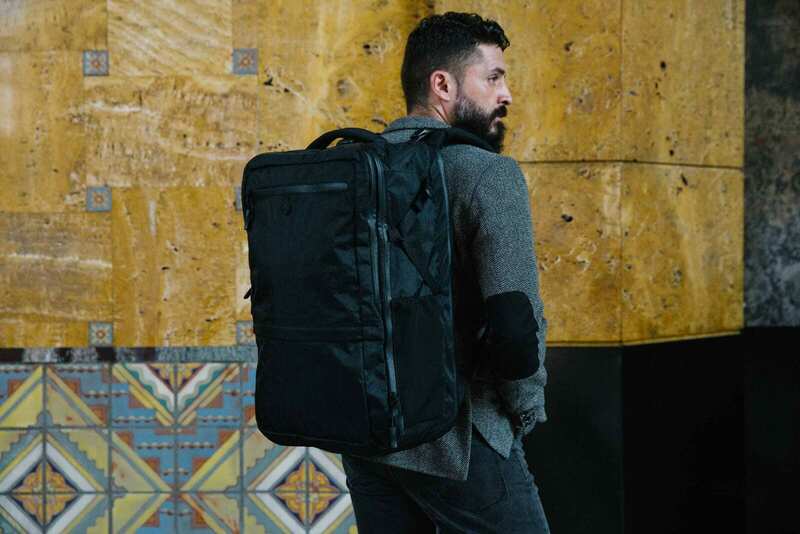 The Outbreaker Backpack combines the ergonomics and portability of a backpack with the obsessive organization and easy packing of a suitcase. With the Outbreaker, you have a place and a compartment for everything. Feel free to overpack, because it will feel comfortable no matter how much you’re carrying. On top of all of that, it’s made of a waterproof sailcloth that makes the bag highly water resistant, so you won’t worry about the splash of a rain shower in transit. The low profile design means you won’t stick out as a tourist in the same way you do with traditional hiking backpacks. If you’re packing for just a few days, a full-sized carry on is too much bag. You need something compact with enough packing space for the essentials. The Setout Divide expands from 26L – 34L. It’s just the right size, whether you’re packing light for a weekend or a week. If you like internal organization, lots of packing space, and a hip belt but still prefer a lightweight bag, the Setout Backpack is your holy grail. It has most of the organization and packing space of Outbreaker in a lighter weight package. Because it’s a full-sized carry on designed to maximize your internal packing space, you can truly bring everything you need without becking a bag.